TARP: The one word that's as waterproof as Tarpaulin. If there's one thing that Banks in US have learned quickly: Get the money from the tax payer and disappear! "We've not given any accounting of, Here's how we're doing it," said Thomas Kelly, a spokesman for JPMorgan Chase, which received $25 billion in emergency bailout money. "We have not disclosed that to the public. We're declining to." "We manage our capital in its aggregate," said Regions Financial Corp. spokesman Tim Deighton, who said the Birmingham, Ala.-based company is not tracking how it is spending the $3.5 billion it received as part of the financial bailout. Hmmm... so in effect the borrowers say to the Lender that they will not disclose how the money is being spent, was spent or will be spent: in essense: Get Lost. If you or I go to the Bank to borrow (as a small firm) they ask your entire financial history as individual and as a LLC, your business, your balance sheets for past decade or more, your directors' personal financial histories (even though that has no bearing on a LLC which is supposed to be legally separate from its directors), and more. In short, they force you to lay bare your complete dossier from your current order book and future order book, salaries, etc., before lending you $100. And they also Foreclose for 30 cents due without hesitation. But GOD forbid if you ask the same about the Bank who seized your money without your consent, because a ex-Goldman Sachs Director thought it was necessary. 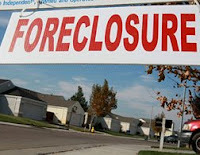 In a lawsuit-crazy nation, am surprised no tax payer has sued the Banks as borrowers and asked the court to foreclose on their properties for not repaying them. Congress took less than 72 hours to guarantee $306 Billion to Citi Group's liabilities so that Citi doesn't goto sleep. This comes in addition to the already guaranteed $750 Billion given to Paulson as a blank check to prevent a "armageddon", and to "prevent troops deployed in streets". Well of course, The Decider, supported him wholeheartedly since it involved bailing out his favorite friends: The Rich. But the topic on hand is the Auto Makers Bailout. Seeing their non-friends in Banking getting rescued by a Government running with money in their hands and forcibly stuffing the same into the banker's mouths, even when they refuse to take the money and tell Paulson where to stuff it, GM, Ford and a sceptical Chyrsler jetted into Washington in style on their private jets and begged Congress in their $10,000 Armani suits for bailouts and threaten job losses if not bailed out. 1) Would the car maker CEOs settle for $1 pay as a condition for bailiout: to which GM's CEO Mullally replied: "Iam good where am." Meaning he refused to reduce his salary. 2) Would the car makers sell their private jets right now and travel back by commercial flights: to which they refused. Result: congress threw them out. How come congres lectures Auto Makers, while it bails out AIG which goes and spends it on a HUGE party for its top executivs and does it again anonymously when found out. Congress didn't say anything and neither did Paulson. BUT, it wants Auto Makers to sell their shirts when they come begging for 1/10 of the money donated to banks. Banks like Citi were RESPONSIBLE for their current financial fiasco they are in. Their preference of short-term profits over long term growth resulted in this. Auto makers are not responsible for the price of oil shooting up rapidly and going down just as such. Of course congress states that 1970s should have taught them a lesson. True. But then 1907, 1929, 1987 and The Trillion Dollar Hole should have taught the Banks lots of lessons. But congress does not criticize Banks. Because banks bankroll congressmen with huge campaign donations. Auto Makers don't. Plus, ALL congressmen after retirement set up their shops with Banks. None of them goes to work for Ford or GM. India's 9/11 came to Mumbai on Nov 26th and resulted in the deaths of over 180 people including about 150 indian citizens. 2) All politicians were interested in self-preservation and increasing their own security by depriving protection meant for the common taxpayers. The Indian Finance Minister, Palaniappan Chidambaram is now in charge of the Home Affairs Ministry after the previous one was forcibly booted out fo refusing to take responsibility for this attack. Mr.Chidambaram has been an astonishing finance minister india had so far. He has single-handedly concentrated on increasing the income of the state even at the cost of increasing inflation. His drastic policies in collecting taxes and surcharges has surpassed every minister so far to the point where real incomes of the salaried class fell by 14% last year. In addition he has been 100% tight-fisted in expenditure by any reduction of taxes or prices. For instance the recent fall in Petroleum prices by more than 55% did not result in reduction of petrol prices in India. Because a reduction in prices will mean a reduction in the excise duty collection on the face value of the administered prices. His policy may have resulted in giving the Government a huge increase in income thus enabling it to spend more on "absolutely necessary" programs like more roads to nowhere or repainting the parliment house or buying 100 armoured mercedes cars for politicians. As Finance Minister, Mr.Chidambaram knows that he spends over Rs.1800 millions in protecting about 250 politicians who are considered "vital" to the country. This includes some colorful characters and not so colorful ones whose continued existence is somehow justified by the government as necessary to the continued existence of the Indian Union. Mr.Chidambaram also knows that the income and wealth taxes paid by these 250 VIP politicians amount to a total of Rs.670 million in 2007.So the net outflow from the government is Rs.1130 million which is an expense as far as the FM is concerned. Now let us see in cold calculation whether it makes sense to protect the salaried, common, non-VIP tax payers with that money or does it pay to continue to protect these politicians. Out of the 180 poor dead souls, 150 were indian tax payers. Some were rich (like the CEO), some better and some salaried class who pay little or no taxes. Now let us see how much they contribute to the FM's kitty:India has some of the highest tax rates in the world at 33.5% average tax. The mean average salaried tax payer pays Rs.19521 a year as income tax. (Salaried tax payers stand at 31.5 million while income tax collection stood at Rs.614930 million last year). Now, 150 dead people x Rs.19521 (average) comes to Rs.2,928,150 a year in total income tax collection. Since the government failed to protect these 130 tax payers lives, The FM stands to lose Rs.2.537 million a year in tax from these dead people. Considering their average age was about 33, and their retirement age being 60 in india, they still have 27 years to pay taxes. Which means 150 people x Rs.19521 x 27 years = Rs.79,060,050 in total over a period of their tax paying lifetime at current salaries. But of course salaries increase every year. In india it increased at an average of 13.7% according to economic times. Which means their tax payouts increase also increase by same amount. Now, we saw earlier that protecting VIP politicians costs the FM Rs.1130 Million PER year and this increases by the increase in salary percentage of 13.7% (Guards are salaried). So again the total cost to the FM is Rs.31,237,720,089.93 (Rs.31 Billion). Slate has an excellent opinion on how to solve the subprime mess: Sue the hell out of the subprime lenders. Bank of America settled a suit quietly for $8 Billion dollars for predatory lending. That means the lending was illegal. So what to do? Sue each such lender and get the loans declared illegal. Let the predatory lenders foot the bill instead of the stupid taxpayers. Once Countrywide, Citi and BofA realize they need to forgo bonuses and commissions, plus face the wrath of shareholders for losses, they will curb any such tendencies in the future PLUS bear all the losses so far. What do you say?